By Sadiq Umar – The Federal Government Tuesday gave conditions to be met by States for them to access the remaining $2.69 billion Paris Club refund. The FG, in a statement by the Ministry of Finance said the States must clear owed salaries and other related staff arrears before they would be able to access the remaining $2.69 billion Paris Club refund. According to the statement released by director of information in the ministry, Hassan Dodo, the issue of Paris Club loan over-deduction had been a long-standing dispute between the federal government and the state governments, dating back to 1995. 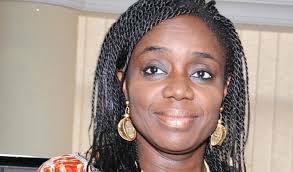 “The DMO led the reconciliation process under the supervision of the Federal Ministry of Finance. The final approval of 2.69 billion dollars is subject to some conditions,” the statement read. “Salary and staff related arrears must be paid as a priority. Also, commitment to the commencement of the repayment of Budget Support Loans granted in 2016 must be made by all States. “Furthermore, they must clear amounts due to the Presidential Fertiliser Initiative and make a commitment to clear matching grants from UBEC. As an interim measure to alleviate the financial challenges of the states during the 2016 recession, the president had approved that 50% of the amounts claimed by states be paid to enable them clear salary and pension arrears.